With rising maternal mortality and morbidity rates in the U.S., there has been an increased focus on improving quality in maternal health care. Recent studies have shown that 41 percent of maternal deaths were likely preventable, and this number has survivors and surviving friends and family eager to get involved in preventing these traumatic pregnancy events. We often hear calls to “get involved in quality” and “join quality initiatives” but what does it all mean and where do we start? In this article we will provide you with some history of quality, the current medical landscape, and practical steps you can take today to make sure you are using your experience to improve quality health care for moms and babies! The Affordable Care Act (ACA) transformed our modern healthcare landscape, as it unveiled many medical system errors and safety concerns. Payment incentives given to doctors have typically encouraged volume of care rather than quality of care, resulting in a significant lack of information in making best-practice decisions. In response to these concerns, there has been greater attention given to measuring and rewarding quality care. We have seen a transition from a system where the all-knowing doctor simply told his or her patients what was best for them to an increase in shared decision-making, where the healthcare professionals value the patient’s input as an expert of their own body. Healthcare systems and payers are more interested than ever in including the patient’s voice in their approach to health care and measuring quality of care. Patients used to choose the doctor who was closest to them and felt they had little option of who treated them. Advancements in technology have made choosing a doctor a much more selective process. Maps on your phone can not only show you all the specialists in a certain radius but can also give you a plethora of customer experience ratings at your fingertips. Nowadays, if you’re a gynecologist with a 2 star rating and public patient reports of your rude office staff and lack of bedside manner, you are going to struggle to remain in business. It is more important than ever for your voice to be heard. Your experience matters and there are outlets available for you to become involved. Together we can make a difference. We have all seen these surveys in our email after our visits and with how many surveys we are solicited to engage in, it is all too easy to pass on this opportunity. It is imperative though, that we not only fill out this survey but that we take our time to give thoughtful answers. Your doctor is likely getting paid on your satisfaction with his/her care, so make sure to explain quality measures you believe should be taken. Encourage your friends and family to fill out their surveys as well. Whether you are concerned with the quality of care you received or not, a letter to the hospital explaining your experience is valuable. Sometimes, even when all the right decisions are made, systems are unaware of what the experience was like for the patient. Did you know why you were getting the tests you were given? Were you included in the decision-making process? Were you confident you were being treated in accordance with best practices? Were you scared? Your experience is important and there is no way for a hospital to understand that experience unless you share it. Do you have an experience where quality measures weren’t in place or could be improved? Let the Centers for Medicare and Medicaid Services know. They base their payment on certain minimum requirements and those requirements are always evolving. Writing a letter to advocate for quality measures to be included in their minimum requirements can significantly change how healthcare professionals treat their patients. Some healthcare systems have already established patient advisory committees. Inquire with your local health system to see how you can serve on a committee. If your local health system doesn’t have a patient advisory committee, suggest they start one and collaborate with them to champion this effort. Some states also have quality collaboratives that are community-based organizations of multiple stakeholders, including healthcare providers, purchasers (employers, employer coalitions, Medicaid, and others), health plans, and consumer advocacy organizations, that are working together to transform health care at the local level. Many states have perinatal specific quality collaboratives (PQC). Visit the Center for Disease Control’s Division of Reproductive Health site to find a PQC near you. Several universities across the country are conducting research to determine the effectiveness of our healthcare system and if current quality measures are accurate in reporting true quality care. Adverse outcomes in maternal health suggest that quality care isn’t being implemented, or measured properly. If you live close to a university medical center, ask about their quality efforts and how they are utilizing the patient perspective. Also, offer to participate in research to develop new measures. 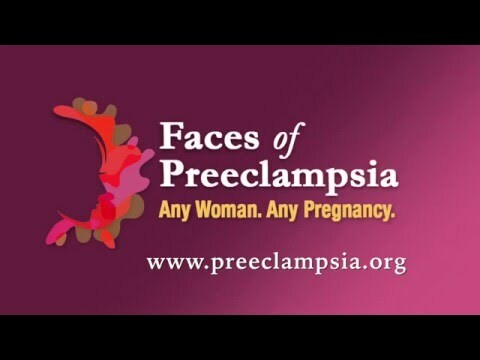 The Preeclampsia Registry is a "Living Database" bringing together those affected, their family members, and researchers to advance knowledge and discover preventions and treatments for preeclampsia, HELLP syndrome, and related hypertensive disorders of pregnancy. Providing The Preeclampsia Registry with your medical information allows you to play an active role in ensuring mothers and babies lives are not threatened by hypertensive disorders of pregnancy. If you want an in-depth workshop on how to use your experience to effectively shape quality, the Preeclampsia Foundation Summit is the place for you. The Summit is a multifaceted training program led by top experts in the field, designed to empower the Preeclampsia Foundation’s volunteer leaders as they advance the understanding of preeclampsia in their communities as well as on a national level. It is more important than ever to ensure your voice is included in the discussion surrounding quality healthcare for women. We are excited to host the 2018 Summit in Chicago!